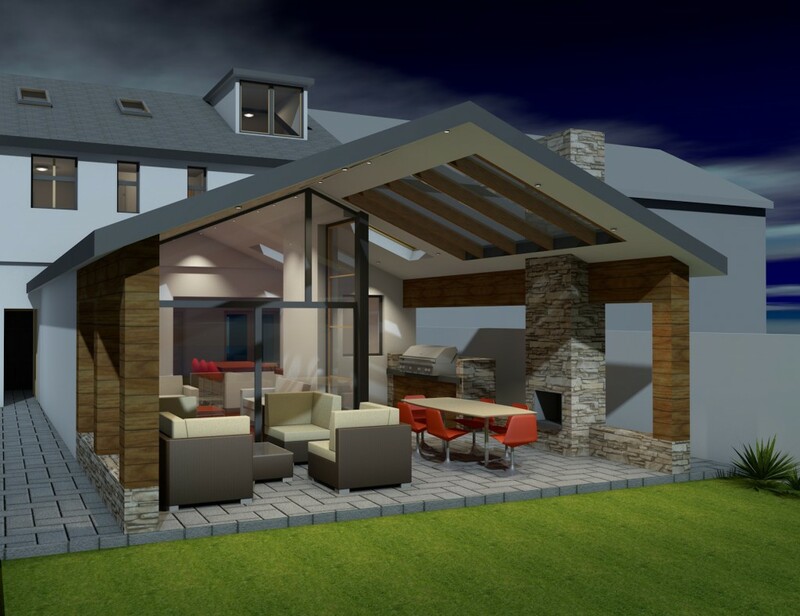 This extension is starting on site in Churchtown, Dublin 14 . This is a classic example of how we design for the Irish climate. The roof is extended out over the terrace to create one of our famous “Covered Terrace” areas, this one includes large glazed sections in the roof to allow the light to flood in. We have also included a built-in-BBQ and outdoor fire so you can start your summer earlier and finish it later!